With Stuck in a Great Escape (2011), a pop album, both shiny and rocky at the same time and See Me in Color (2015), a concept album but accessible to all, Monkypolis has created its own musical and graphic universe. In 2016, the group set itself the goal of regularly releasing new titles in the form of singles and EPs. In 2018, the group wanted to bring all these pieces together with some unpublished titles on a single physical album, with a golden design, entitled "Jet Lag". Whether live or in the studio, the 4 members of the group, Fabrice Della Gloria (Freaky), Lionel Berthet (Col. Schnaps), Nicolas Lhenry (Psycho J) and Laurent Prost (Mo'Jo), use precision and energy to propel us into this "Monkypolis" universe, illustrated by the pen of Oxyd Cygo. The voices of the two singers (Freaky and Schnaps) make us oscillate either from the hovering and pop side of Monkypolis or towards its hard side with a powerful and energetic rock, through stories peculiar to our time in this world that turns a bit too fast, where we can feel completely confused. Monkypolis will seduce those who have known the 60's folk, the 70's power, the 80's coldwave, the 90's Brit Pop, the 2000's indie-rock and those who still believe in pop and rock bands. independent in 2018! -------------------------------------------------------------------------------------------- Avec Stuck in a Great Escape (2011), album pop brillant et rockailleux à la fois et See Me in Colour (2015), album concept mais accessible à tous, Monkypolis a su créer son propre univers musical et graphique. En 2016, le groupe s’est fixé comme objectif de sortir régulièrement de nouveaux titres sous la forme de singles et d’EP. En 2018, le groupe a souhaité réunir tous ces morceaux avec quelques inédits sur un seul et même album physique, au design doré, intitulé « Jet Lag ». 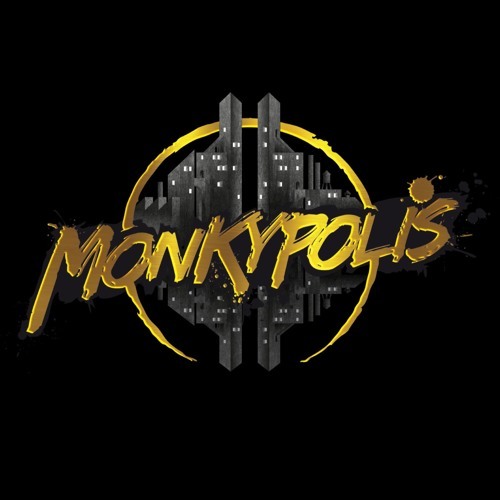 Que ce soit en live ou en studio, les 4 membres du groupe, Fabrice Della Gloria (Freaky), Lionel Berthet (Col. Schnaps), Nicolas Lhenry (Psycho J) et Laurent Prost (Mo’Jo), savent avec précision et énergie nous propulser dans leur « Monkypolis », illustrée par la plume d’Oxyd Cygo. Les voix des deux chanteurs (Freaky et Schnaps) nous font osciller soit du côté planant et pop de la Monkypolis soit vers son côté dur avec un rock puissant et énergique, aux travers d’histoires propres à notre époque dans ce monde qui tourne un peu trop vite, où nous pouvons nous sentir complètement déboussolés. Monkypolis pourra séduire ceux qui ont connu le folk des 60’s, la puissance des 70’s, la coldwave des 80’s, la Brit Pop des 90’s, l’indie-rock des années 2000 et ceux qui continuent de croire dans les groupes de pop et de rock indépendants en 2018 !